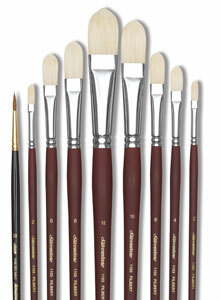 This assortment of brushes is ideal for the beginning portrait artist. 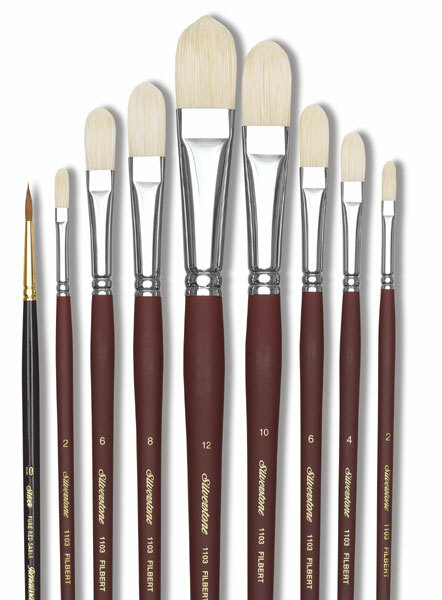 It includes eight Series 1103 Silverstone Filberts, including two each of sizes 2 and 6, and one each of sizes 4, 8, 10, and 12. There is also one size 10 Series 7100 Red Sable Round.